Recently on the forum, Andee hosted a swap. It was called Ye Old Romance Swap. If you have never participated in a swap before, they are fun and addicting. Think of it like a Christmas gift from like-minded individuals. You get plenty of inspiration, feedback and the perfect place to strut your stuff. When Andee announced this swap, I just knew I had to be a part of it. Andee can tell you that whenever something with historical inspiration comes up, I tend to immediately gravitate to the floral aromas, rose in particular. Think of my Valentine’s Day Lotion with Rose Hydrosol. So you can imagine her shock when I said I wanted to do some things inspired by Bonnie and Clyde from the 1930s. You never know what you might be inspired to do when given a theme! 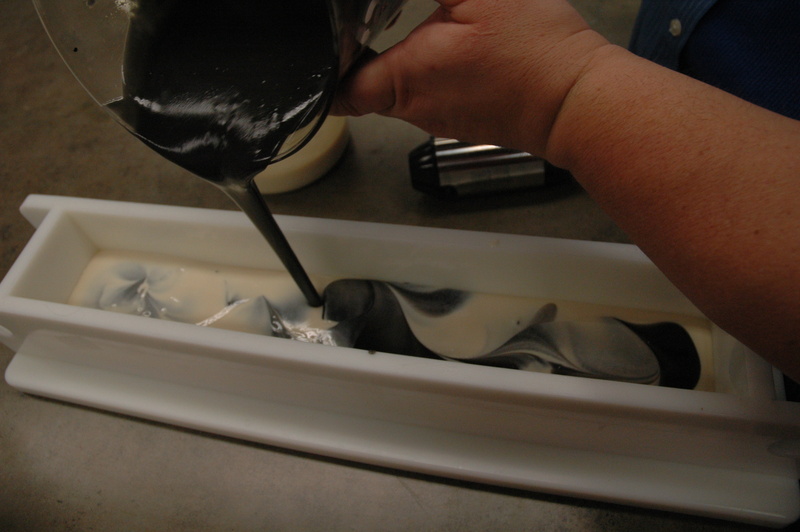 Come join me in creating a swirled shaving soap with a fragrance blend just for Bonnie and Clyde. I like to blend my fragrance oils prior to making my soap for the sake of simplicity. I know I won’t forget anything and I don’t need to worry about rushing around like a headless chicken. This also allows me to make enough for all of the projects I may have planned such as soap, lotion and whatever else my heart desires. 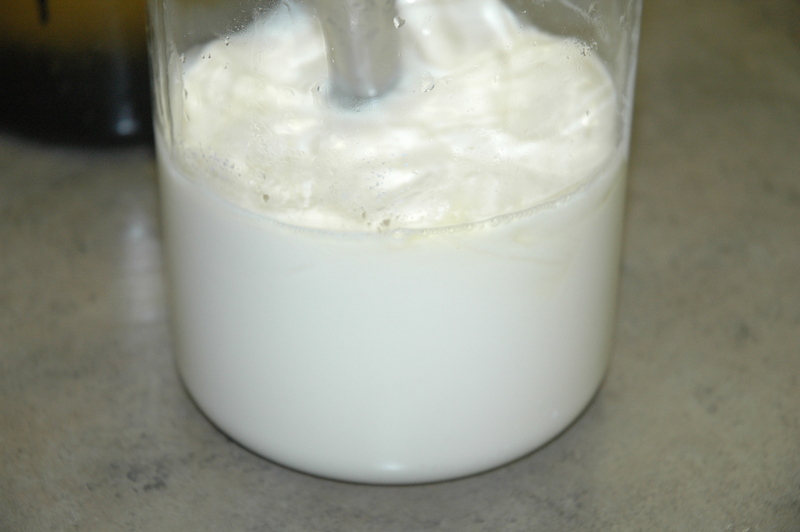 For my soap formulation, I stuck to our simple 6-5-4-1 formula. I used Lanolin as my luxury oil. 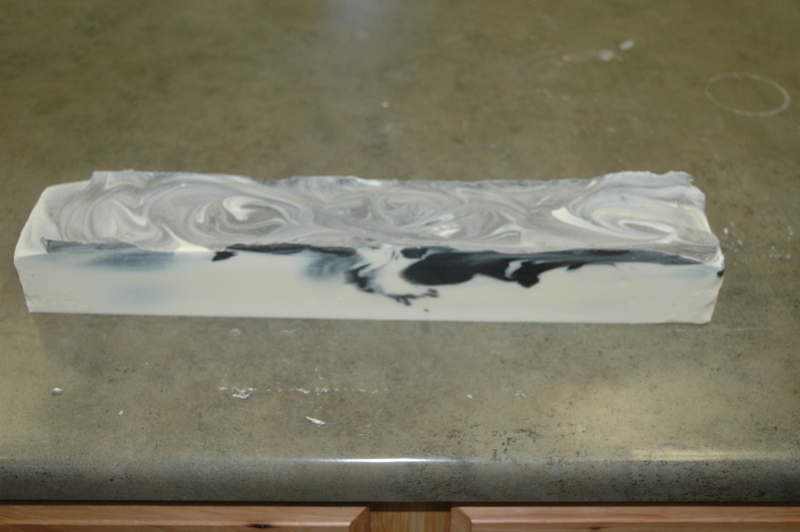 I added clay, color and fragrance and I swirled my soap! 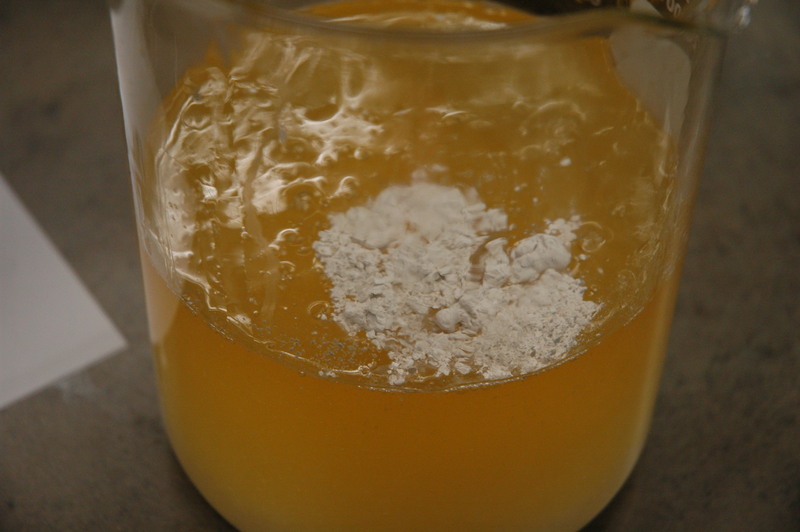 These are all additions we have not made during the Introduction to Soap-making. 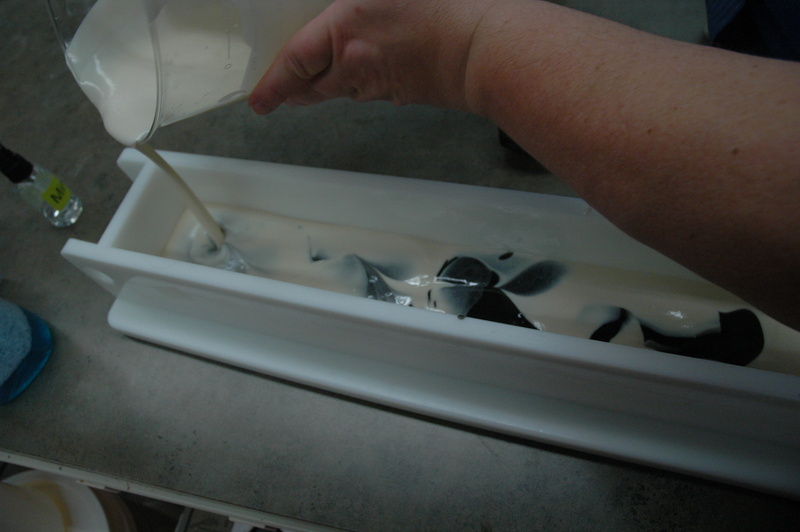 We stuck with only changing the oils and the basics of soap making. Wow! This soap has a lot more to it! 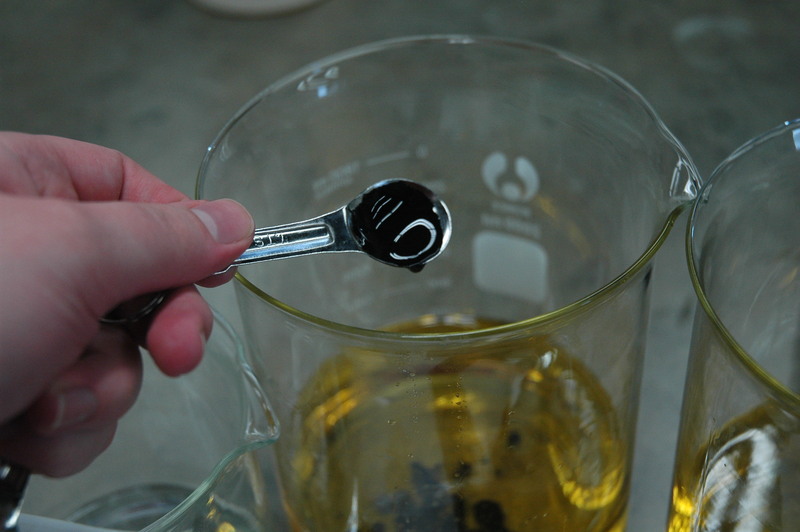 Weigh the two selections of oils into two separate microwave safe containers. Heat gently until liquid. 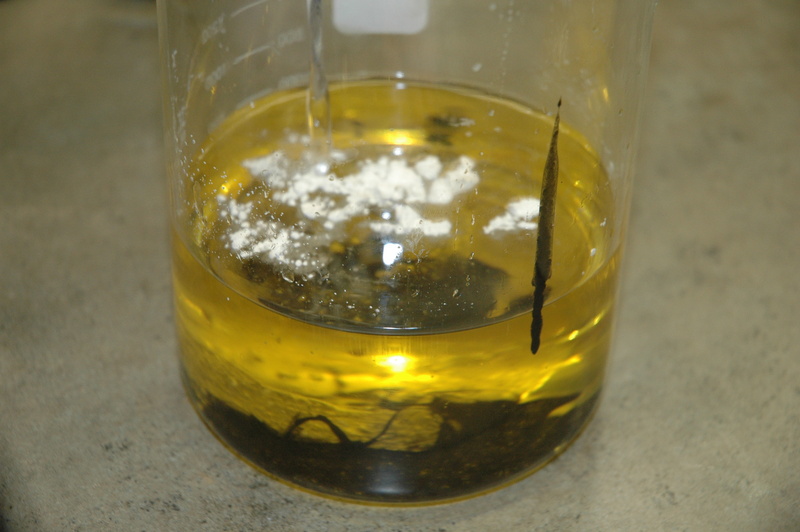 Add the Sodium Hydroxide to two containers of water to form two lye solutions. 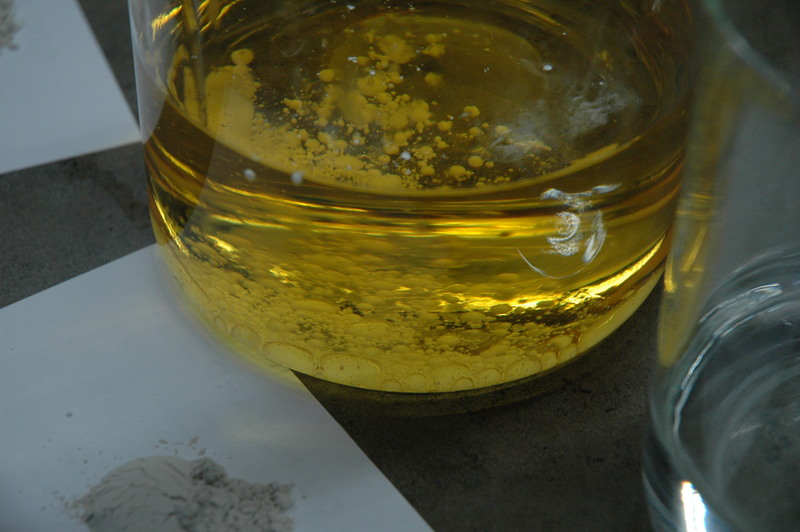 Allow the oils and the lye to cool to a lower temperature. 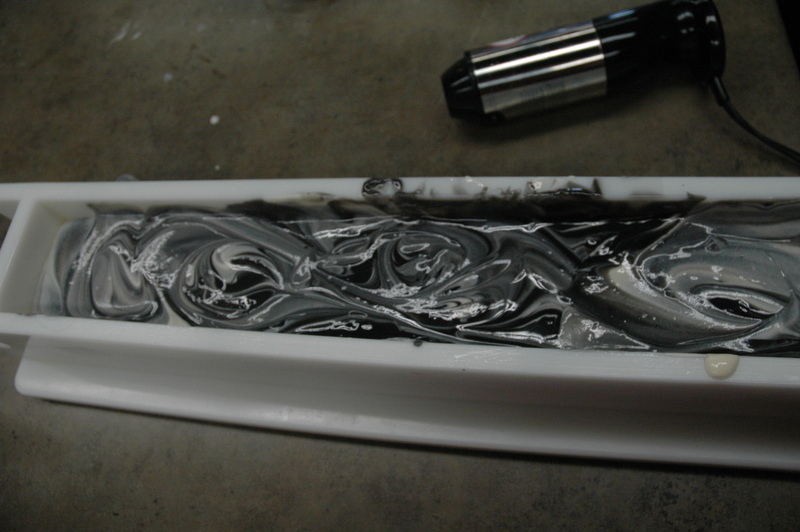 My temperatures for this soap were between 115°F and 120°F. We do not want to have the soap overheat and volcano. 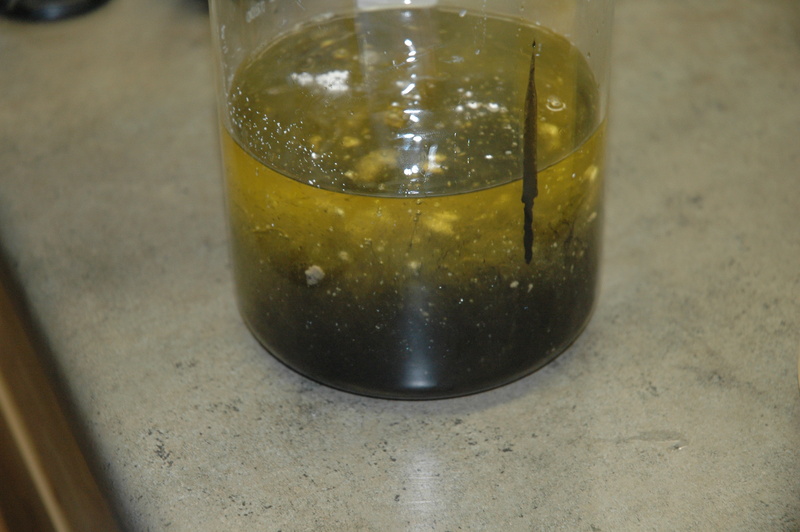 Mix the oils and lye solution and blend until trace is achieved. Add the color at this point. 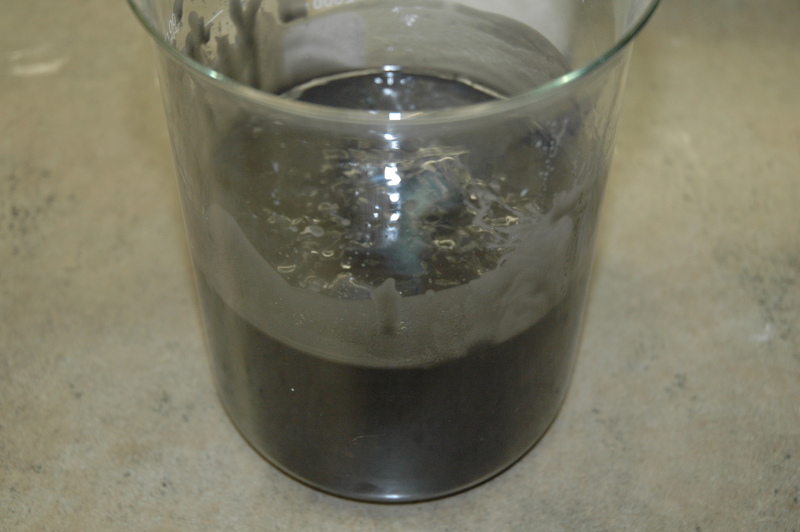 My color was dispersed into glycerin first. Stir well. 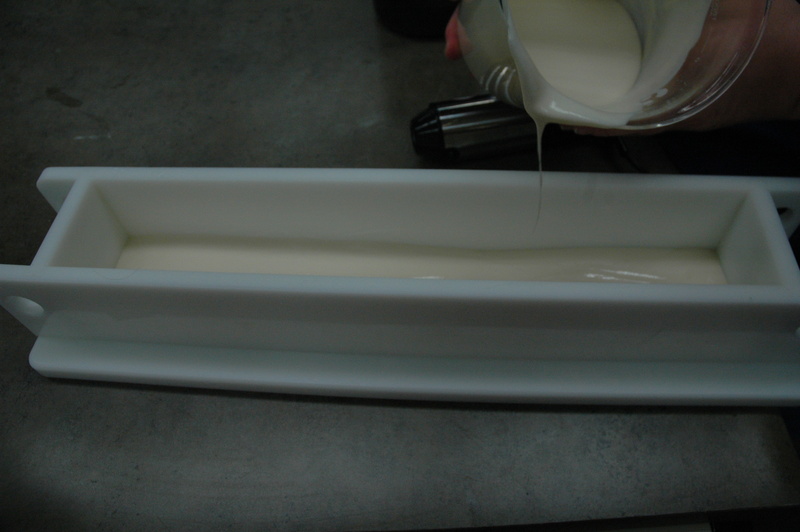 Pour each color of soap into the mold. Allow to sit for 24 hours. Cut the soap. Allow the soap to cure. Longer curing time will result in a harder bar. Enjoy! 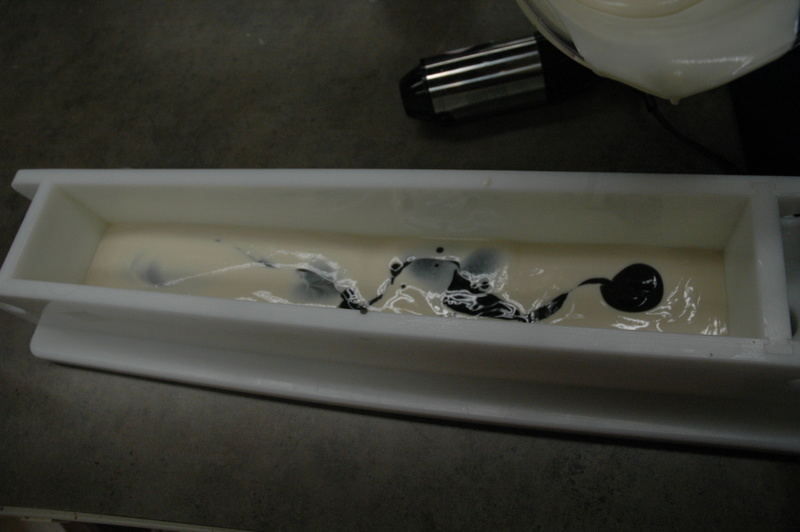 I tried this recipe,it was fun to make, however i found one small problem- and I didn’t realize until i was in the middle of mixing my soap. the instructions don’t say when to add the clay! I know it isn’t a critical ingredient, but I really wanted to try the soap with clay. I was mixing one color into one batch, and the second got really thick while i was mixing the color into the first, and I think the second batch must have gone past the point to add color, because the color didn’t mix in very well. At that point, i figured the clay probably would not mix in either so i left it out. 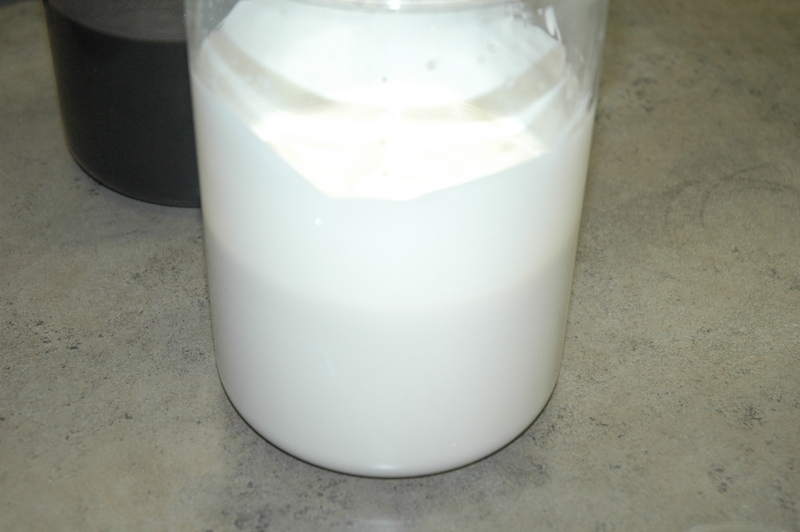 what is the strategy to adding additives to soap while waiting for the right “stage” of tracing/mixing ? The lye solution and oil were both at 115 dergees F, but my oils were starting to solidify so i didn’t want to wait any longer before i mixed them. 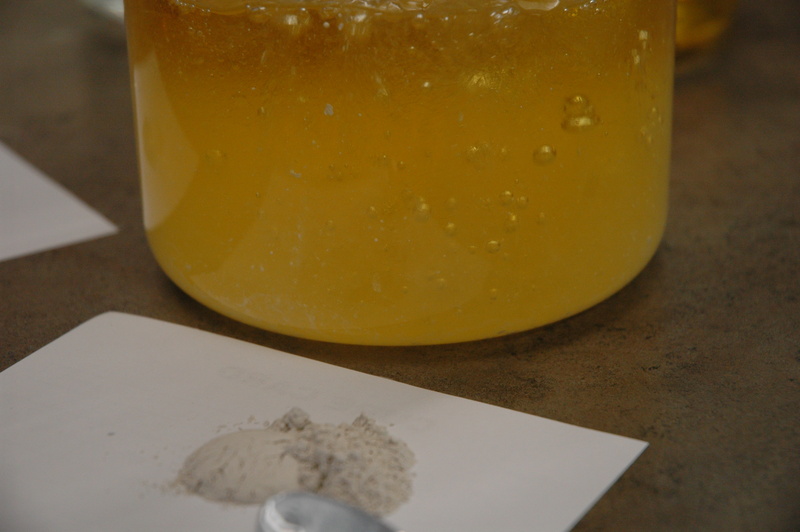 You can add your additives either prior to mixing or when you are at a light trace. Trace does not mean that it is thick like pudding. At that point, it is really too late to add anything and having it mix in evenly. 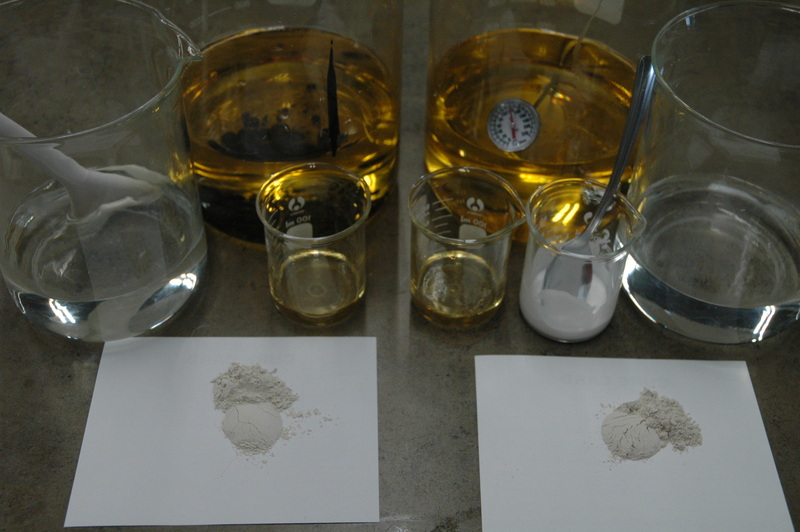 For this particular batch, I added my colors and clay prior to mixing. I did this because Lanolin is a temp sensitive item. I wanted to minimize my time without needing to worry about the color.